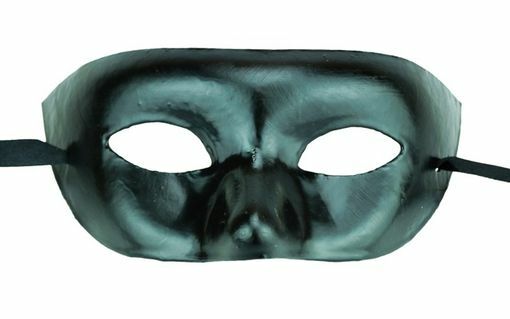 Plain Black paper mache masks is hand painted black. Mask secures with black ribbon ties. Paper mache mask size 7 3/4"W x 3 1/4"h.